A week after launching his presidential bid, Beto O'Rourke is poised to hire veteran Democratic strategist Jen O'Malley Dillon to lead his campaign, officials familiar with the discussions told CNN, a move that puts a former top aide to President Barack Obama at the helm of the O'Rourke campaign. O'Malley Dillon, a deputy campaign manager for Obama's re-election effort in 2012, met with O'Rourke earlier this month in Texas before he jumped into the race. Since then, the campaign raised more than $6 million on its first day and the former congressman from Texas embarked on a tour of a half-dozen states. O'Malley Dillon, who is seen as one of the party's sharpest data experts, had been planning to head a new data exchange operation for Democrats. The effort was designed to help the party overcome its deficit with Republicans on using voter data to identify supporters and drive turnout. But she decided this week to work for the O'Rourke campaign instead, people familiar with the matter say, a fast-growing operation that is attracting the support and advice of several former Obama advisers. At the Charlotte airport en route to South Carolina, O'Rourke declined to comment Thursday night when asked about O'Malley Dillon becoming his campaign manager. "Just not prepared to talk about our campaign team. Hope to be able to talk about our team soon," he said. O'Malley Dillon did not respond immediately to a request for comment. It is unusual for a high-profile campaign like O'Rourke's to launch without a manager already in place. He has discussed the post with several people in recent weeks, aides said, but had yet to hire someone to lead the campaign from its headquarters in El Paso. 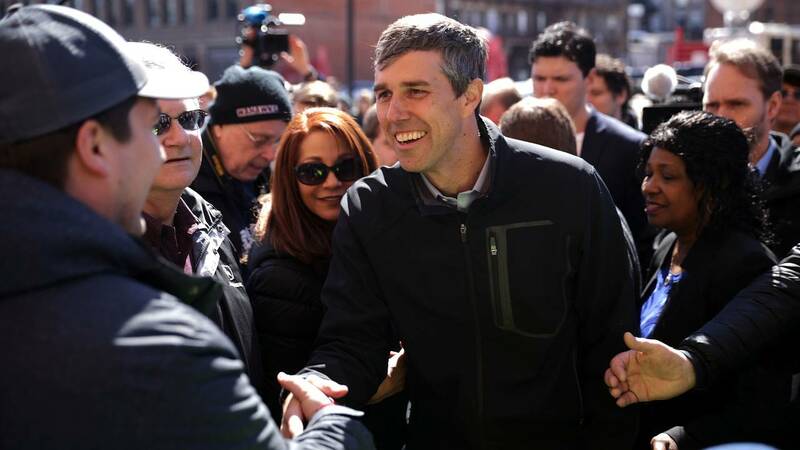 "I'm working with an extraordinary team right now, some of whom helped me in the amazing Senate race that we ran in Texas, some of whom are new to this campaign," O'Rourke told reporters on Sunday. "I am in talks with someone who might be very excited to lead this effort, but at the same time that I say that, I want to give my thanks to the team that has started this up and allowed us to have such a strong start three-and-a-half days into this campaign." Asked how many people he has offered the job to, O'Rourke said, "I have made one offer." O'Malley Dillon, a founder of the Washington firm Precision Strategies, has also worked as a top political consultant for Prime Minister Justin Trudeau in Canada. She is a former executive director of the Democratic National Committee and worked on John Edwards' 2004 and 2008 presidential campaigns.